This talk will be about reasoning and planning for goals expressed over finite traces, instead of states. We will look at goals specified in two specific logics (i) LTLf, i.e., LTL interpreted over finite traces, which has the expressive power of FOL and star-free regular expressions over finite stings; and (ii) LDLf, i.e., Linear-time Dynamic Logic on finite traces, which has the expressive power of MSO and full regular expressions. We will review the main results and algorithmic techniques to handle reasoning, planning in deterministic domains, and especially planning in nondeterministic domains. We will also briefly consider stochastic domains. Moreover, we will draw connections with verification and reactive synthesis. The main catch is that working with these logics can be based on manipulation of regular automata on finite strings, for which well-established algorithms are available. Giuseppe De Giacomo is full professor in Computer Science and Engineering at Universita di Roma “La Sapienza”. 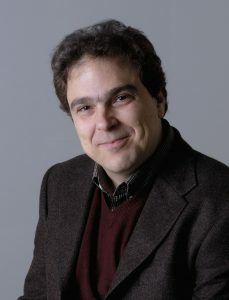 His research activity has concerned theoretical, methodological and applicative aspects in different areas of AI and CS, including Artificial Intelligence, Knowledge Representation, Reasoning about Actions, Generalized Planning, Semantic Technologies, Ontologies, Description Logics, Data Management, Data Integration, Data-Aware Business Processes, Service Composition, Verification and Synthesis. He is AAAI Fellow, ACM Fellow, and EurAI Fellow. He is the PC-Chair of ECAI 2020. His very first paper was presented at GULP’92.